Anyone wire an AT899 lavalier? Ordering a couple to use with bodypack recorders, but as Audio Technica doesn't supply them with 3.5mm plugs, I'll be adding my own. Audio Technica lavs seem to be of the 3-wire variety, although looking at a photo of an AT831, they use 5 conductors: two red, two yellow, and uninsulated shield/ground. I'd give Audio-Technica's service department a call - they should have that info. I'd guess that Trew Audio, which has a Vancouver location, would wire it up for you and stand behind the product - if that's important. Otherwise, get the mic pinout from AT, and the jack pinout from Sony and match them up. There are several versions of the 899 - the picture you posted shows the Cardoid version. Usually, that's not what you want for video work; most people prefer omnis, so that a subject that turns her head doesn't go off-mike, and hidden placements are generally easier to pull off. I guess I'll give them a call to see if they recommend any resistors. The mic pictured is a cardioid, but I am asking about the AT899, which is an omni. it was just the only picture of an unterminated AT lav I could find. Plug-in power "piggy-backs" the bias voltage onto same conductors as the audio. You need to be careful here. Unless you're sure what you're doing you could easily fry a $200 mic capsule. Why are you committed to this particular lav as a DIY project? I don't do audio full time, the AT899 seems to be the cheapest decent lav on the market, especially unterminated, they don't sell a 3.5mm version, I've got plenty of plugs and jacks and parts lying around, and my soldering iron is always on. Thanks for the note of caution though. There is some generic information at the tapers forum http://taperssection.com/index.php?topic=72994.0 about "3-wire powering" vs. the more common consumer "plug in power" scheme. It's long been known that mics will produce lower distortion, especially at high SPL levels, when "3-wire powering" is used. In general the info at that link would seem to apply to the AT899, but the big question in my mind is: what's the correct (safe) voltage range to use? I would definitely contact AT and try to get the correct info from them. You certainly don't want to fry the mic! Also, note the added blocking capacitor in the audio lead, so you don't feed "plug in power" from the cam back to the mic by mistake. By all means good luck with the project, but be careful... it might be a bit less trivial than you had hoped. "the AT899 seems to be the cheapest decent lav on the market"
- There are cheaper good sounding mics available. For less than $100.USD, with a properly wired connector of your choice, Oscar SoundTech mics, which are highly regarded amongst mega-budget feature film sound recordists, sound as good or better (subjectivly) than the AT899. FWIW, they're made in the USA and customer service is top-shelf. "The AT899 is a three wire condenser microphone. The wires are shield / ground, yellow or white / audio, and red is bias. Typically a three wire condenser requires a power module like the AT8537 that does three things: It converts external phantom power to the required bias voltage, amplifies the FET element output to a specified microphones output, and converts the FET element assembly output to a specified impedance. You will need to ask the manufacturer for specific integration wiring for a three wire condenser." i thought they were they manufacturer. I'd immediately write to them again, quoting their reply in your EMail. Point out that you wrote to them because THEY ARE the manufacturer, and you are asking only about the acceptable range of voltage that should be applied to the red (bias) lead, so that the microphone will operate correctly and will not be damaged. They mean ask the manufacturer of the device you're going to connect the mic to, ie ask Sony, how to properly connect a 3-wire condenser mic to their mic input, They've told you what goes on what wire in the mic - it's going to be up to you to figure out how to get the bias voltage from Sony's input onto the red wire and take the audio off the yellow wire and send it to the proper points in the Sony jack. You'll need some resisters and capacitors, knowledge of the connector assignments in the mic input jack, and excellent soldering skills. Wireless Transmitter Wiring - Countryman Associates, Inc. I agree, Steve, I think that's what they meant in their reply, but IMHO that's rather meaningless. It's already clear that we want to send some bias voltage up the red lead, and the audio will come back down the yellow lead. That seems very unambiguous, and would be true regardless of what recorder you are using. 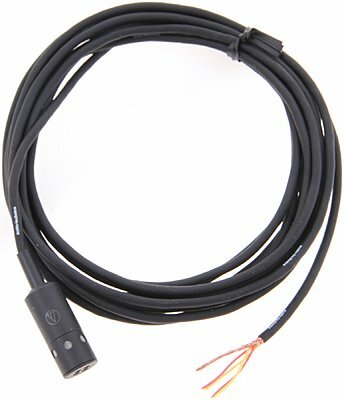 What is not stated at all, and what is important IMHO, is: what is the safe range of voltages that will allow the mic to work as designed, without damaging it.? For example, the mic might need a minimum of 3Vdc in order to operate without distortion; and anything over 9Vdc might damage the mics. (But I'm only guessing at those specific voltages.) I think that's the only question that AT needs to answer; everything else is already pretty obvious., eh?